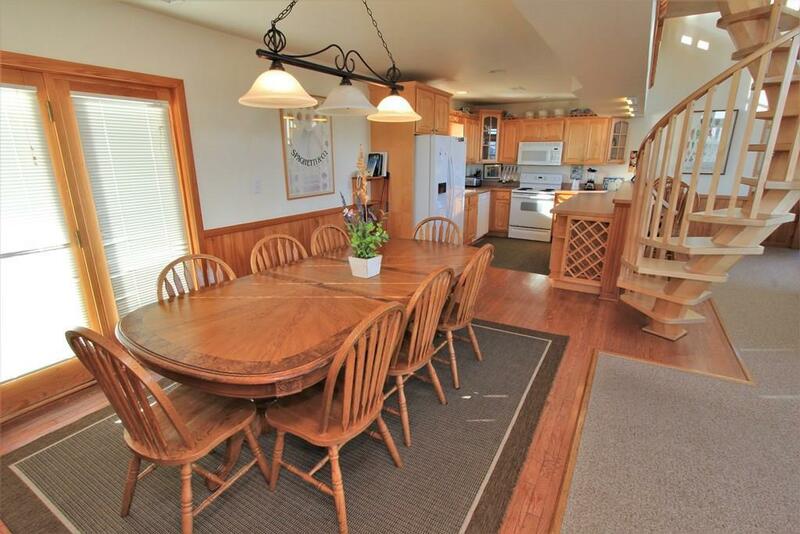 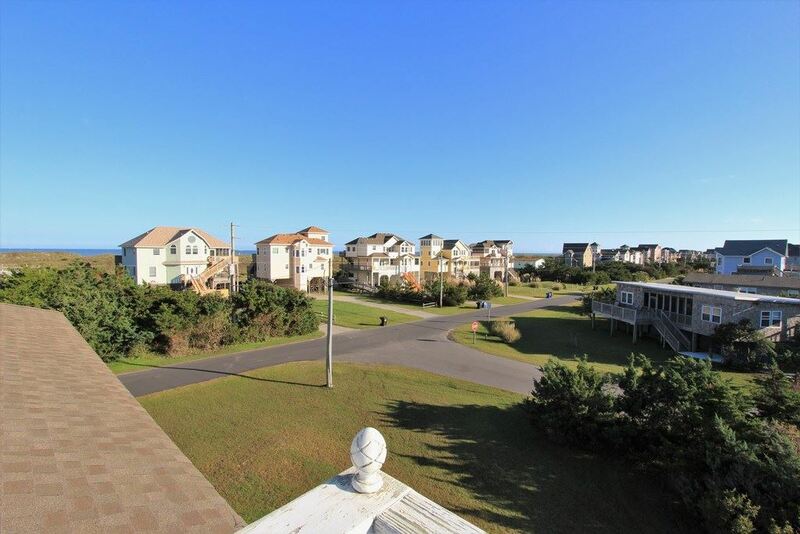 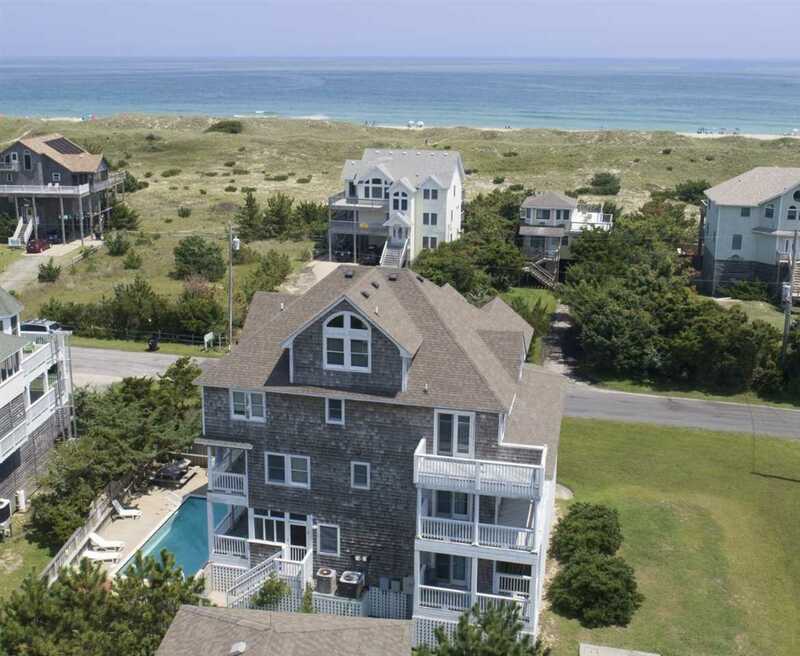 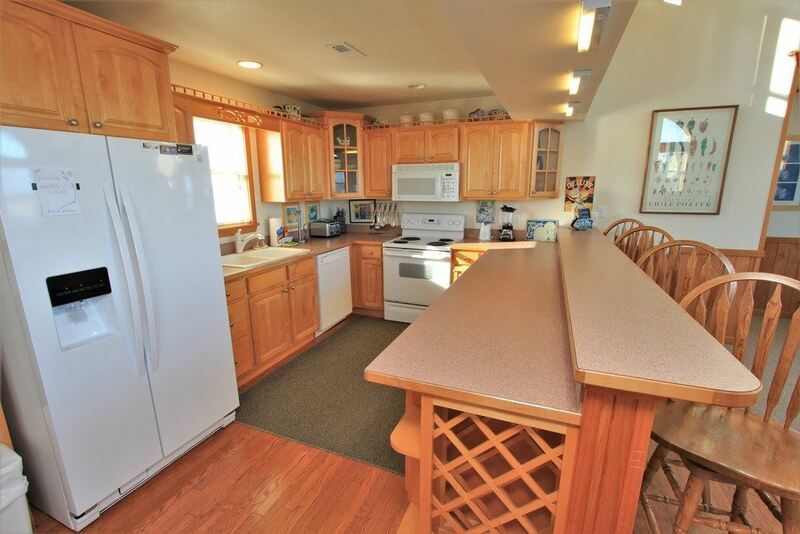 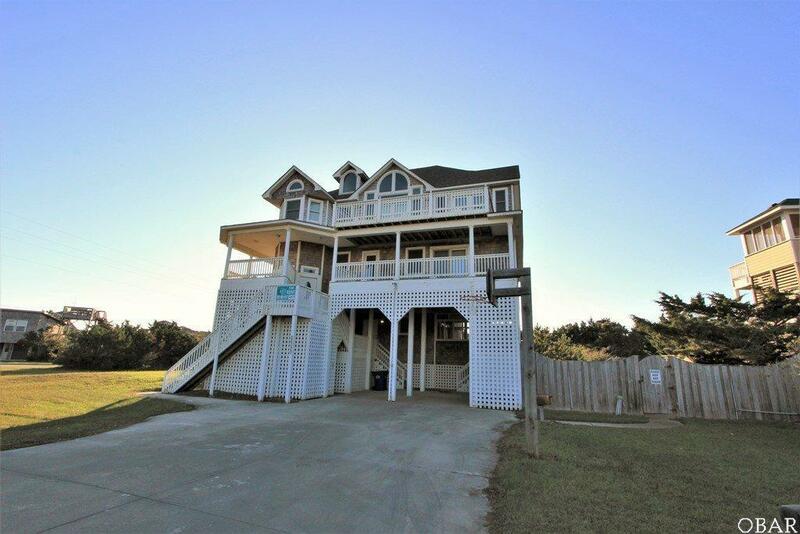 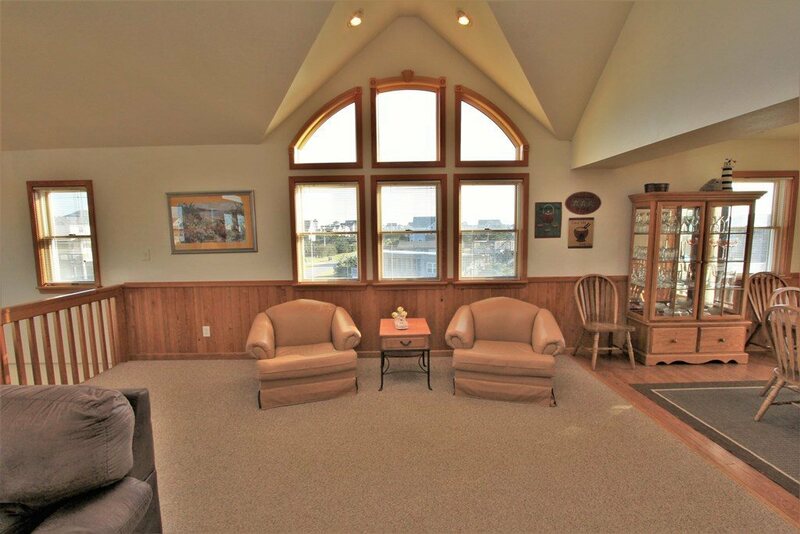 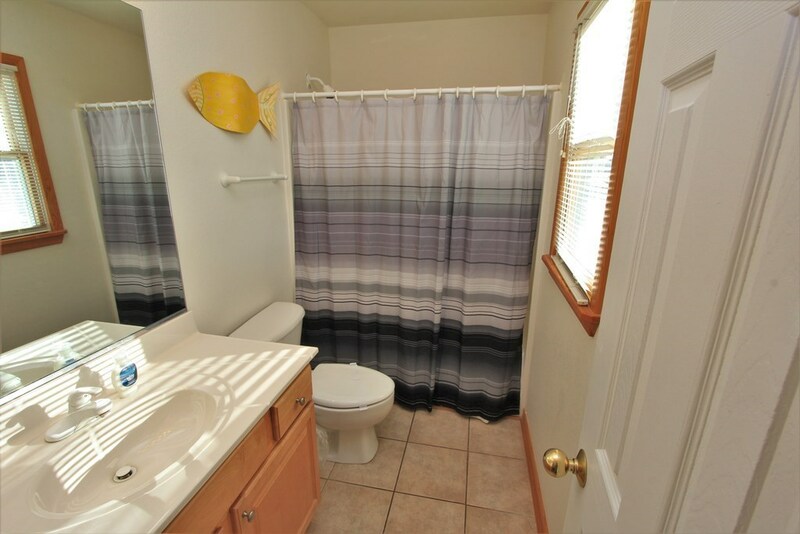 26020 Colony Drive, Salvo, NC.| MLS# 98282 | Outer Banks Homes For Sale, North Carolina Home Search Including Nags Head, Pirates Cove, Manteo, Kill Devil Hills Kitty Hawk, Southern Shores, Duck, and Corolla North Carolina, Oceanfront and Soundfront properties for sale and long term rentals. 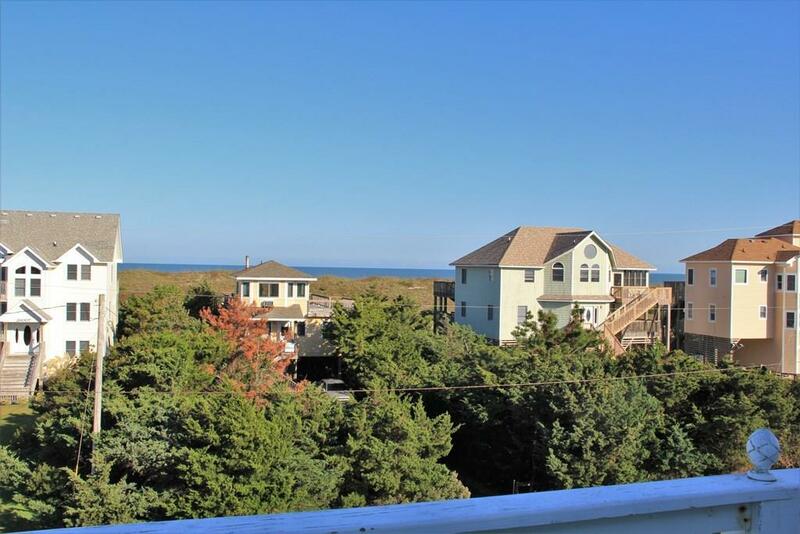 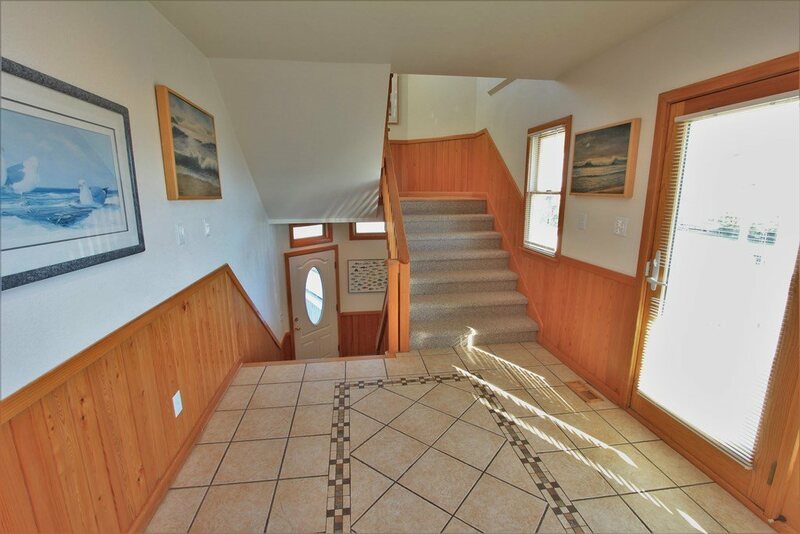 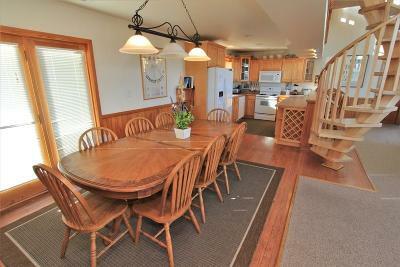 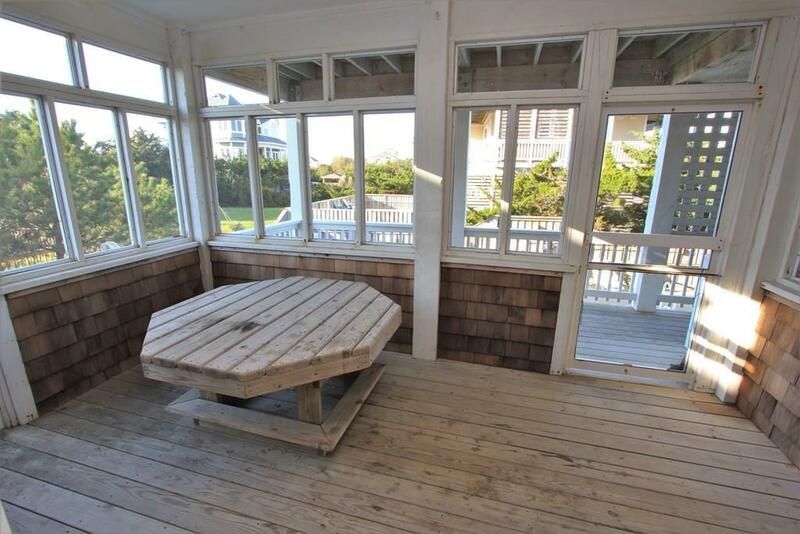 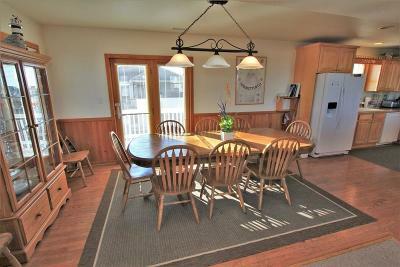 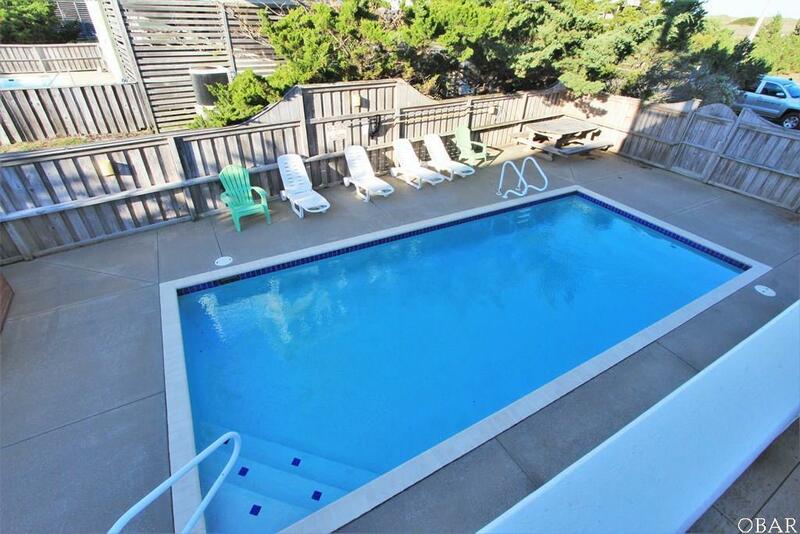 Summer Shack is situated on a large corner lot and has good ocean views. 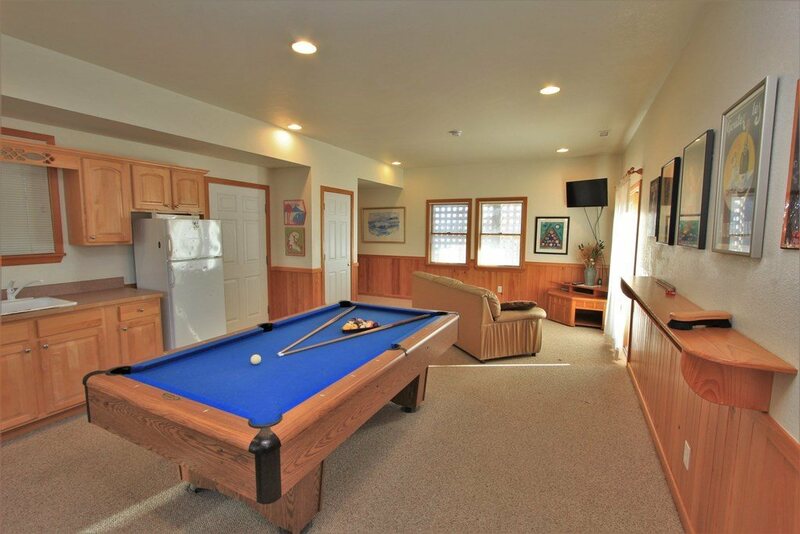 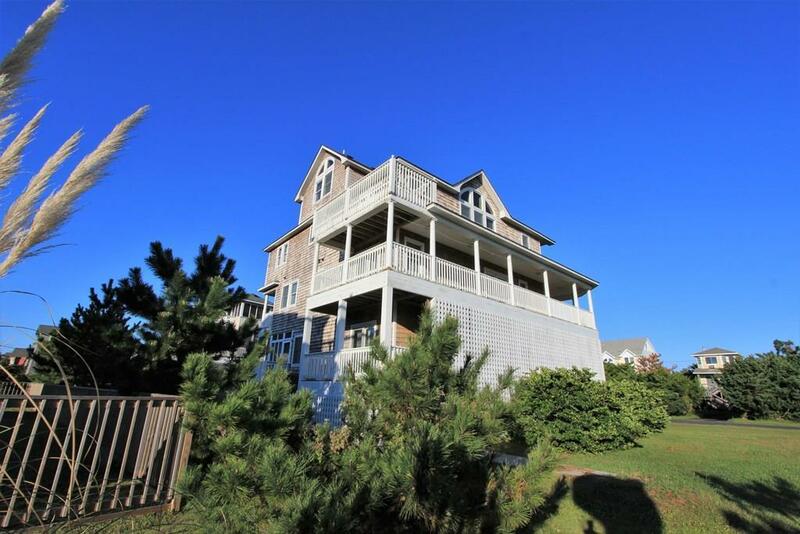 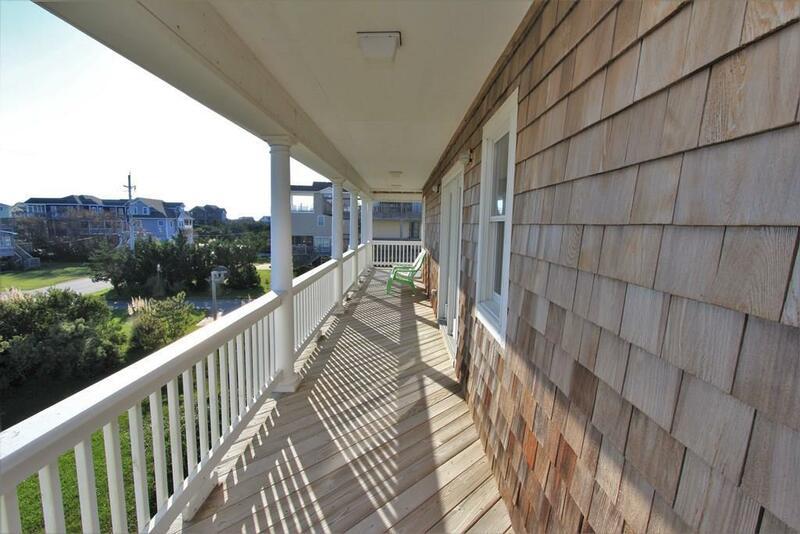 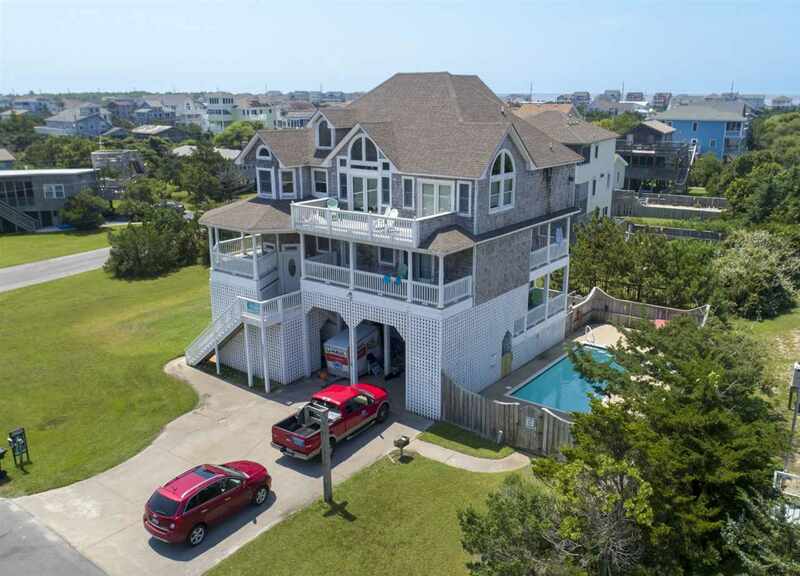 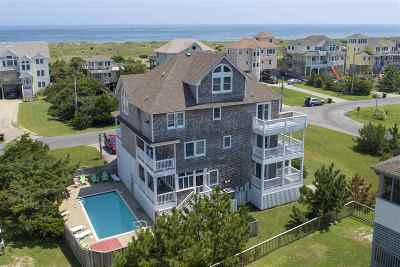 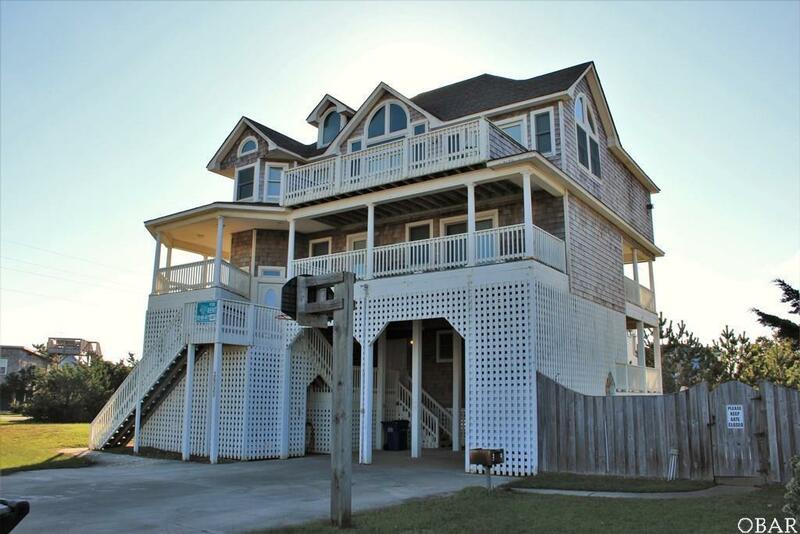 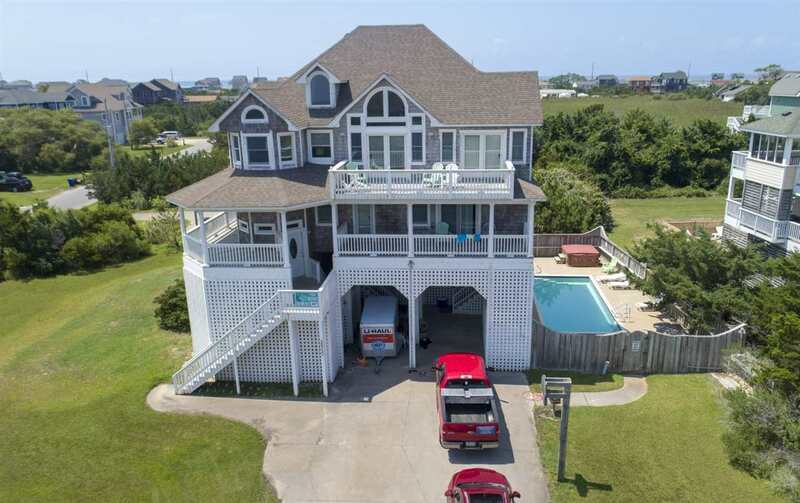 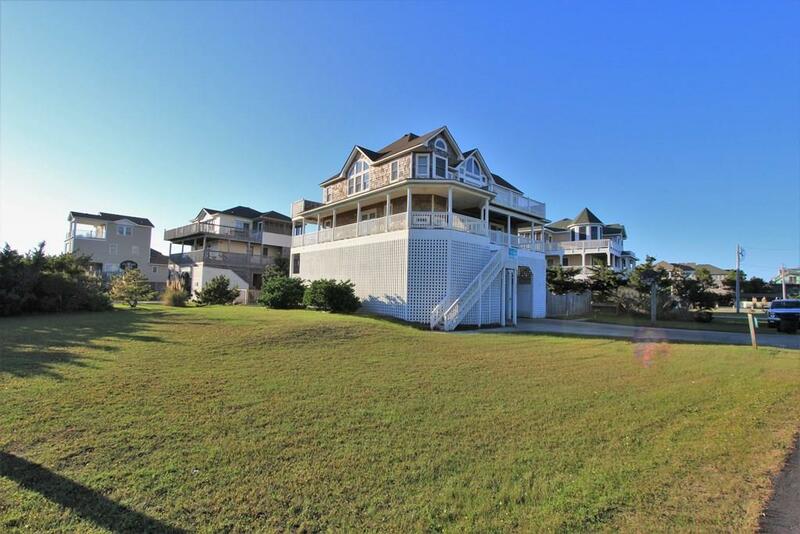 This semi-oceanfront house has a game room with kitchenette and TV area, swimming pool, hot tub, screened porch, and lots of porches and decking. 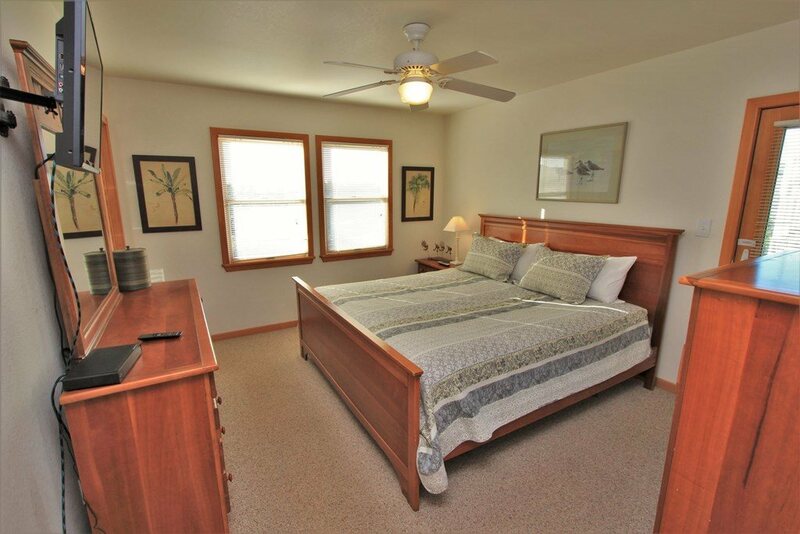 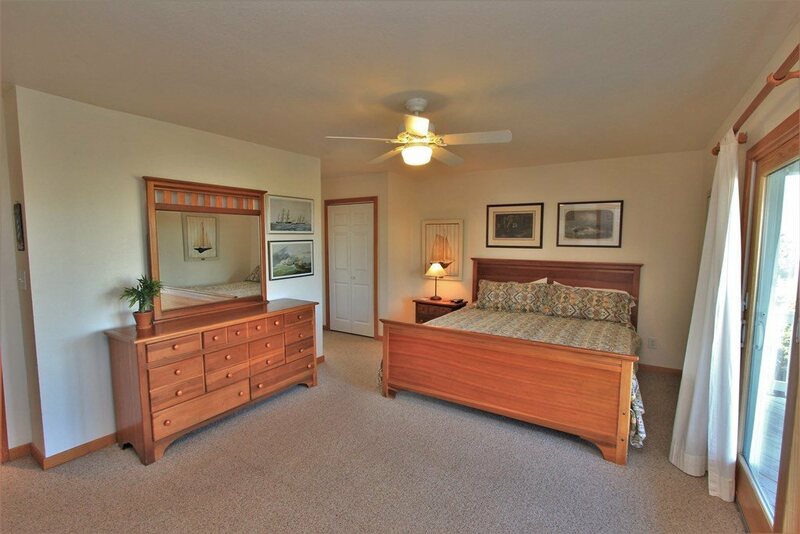 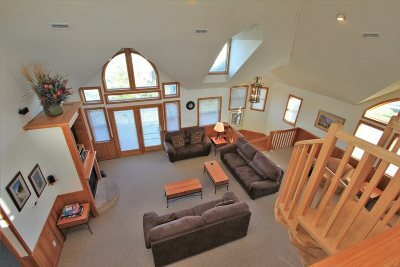 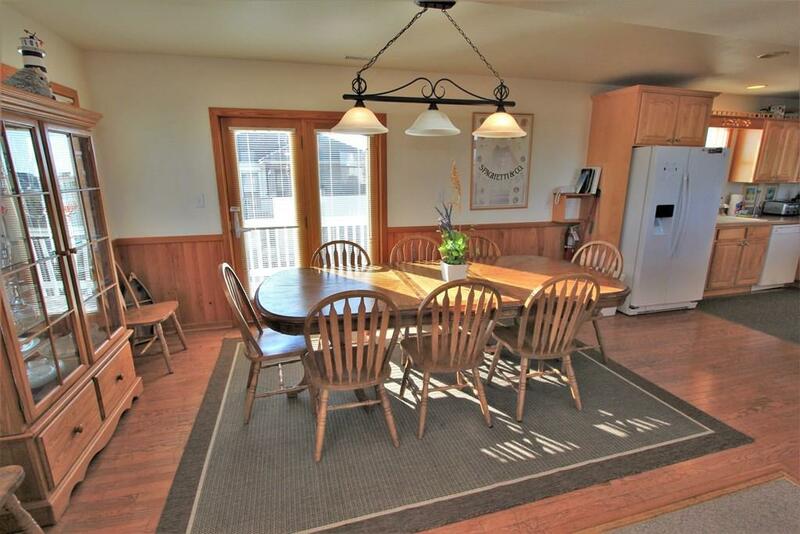 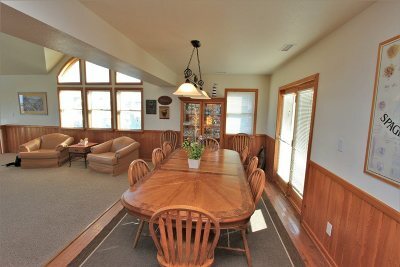 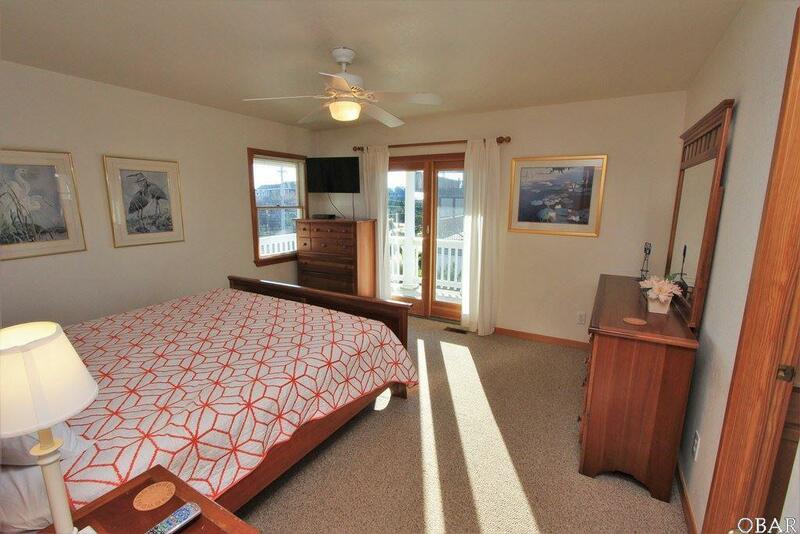 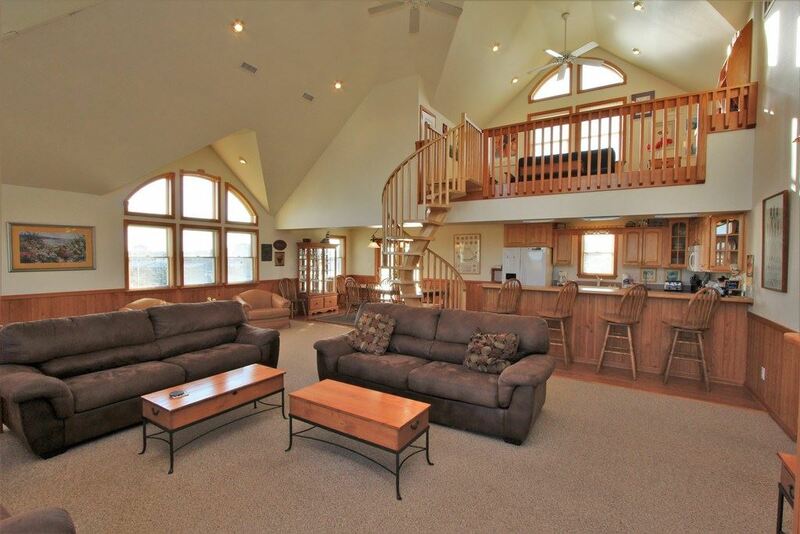 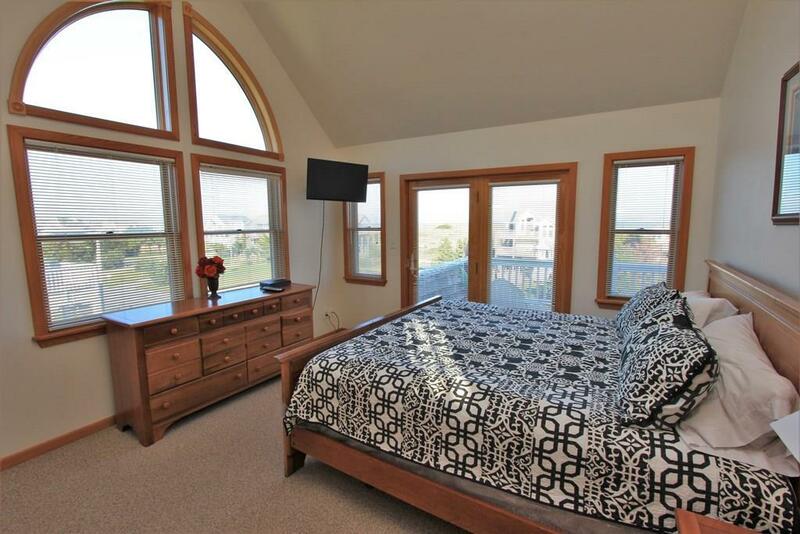 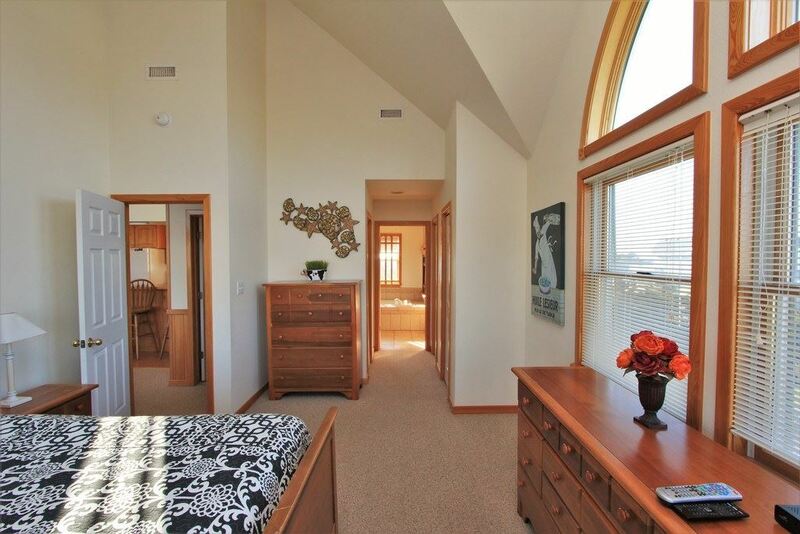 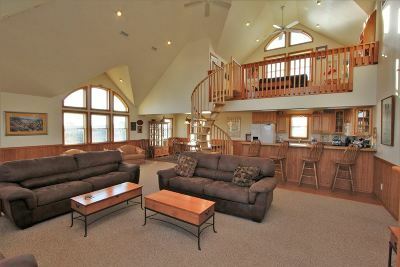 Each of the rooms are spacious and the living area is open with cathedral ceilings and windows everywhere. 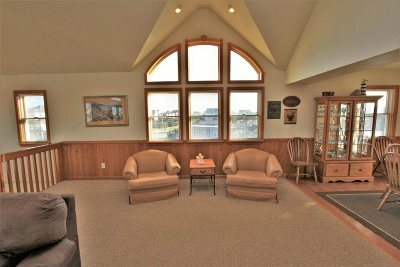 The living room features a gas fireplace. 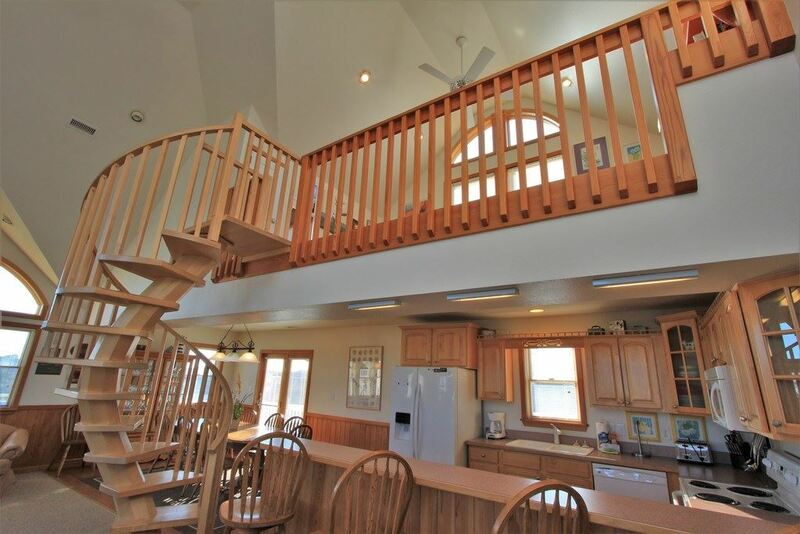 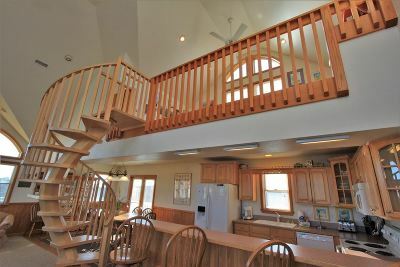 A unique spiral staircase leads to an upper loft with futon. 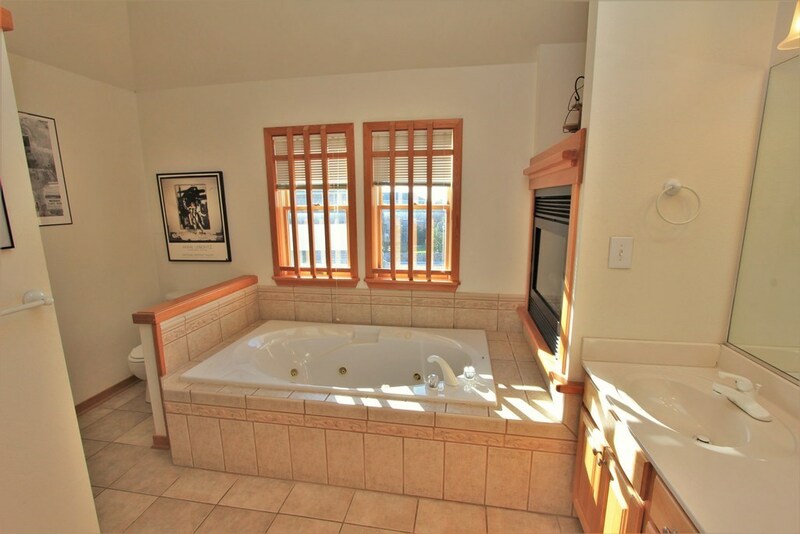 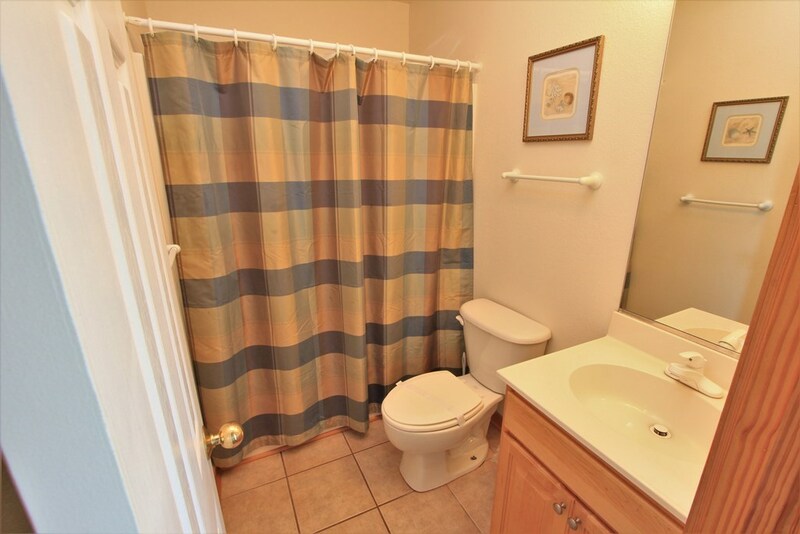 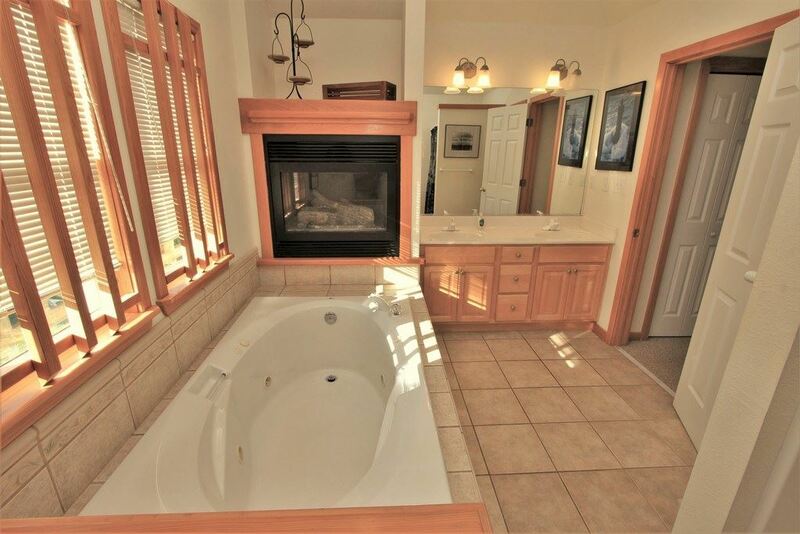 The top floor master suite has a whirlpool tub parked right in front of a fireplace, separate shower, and double vanities. 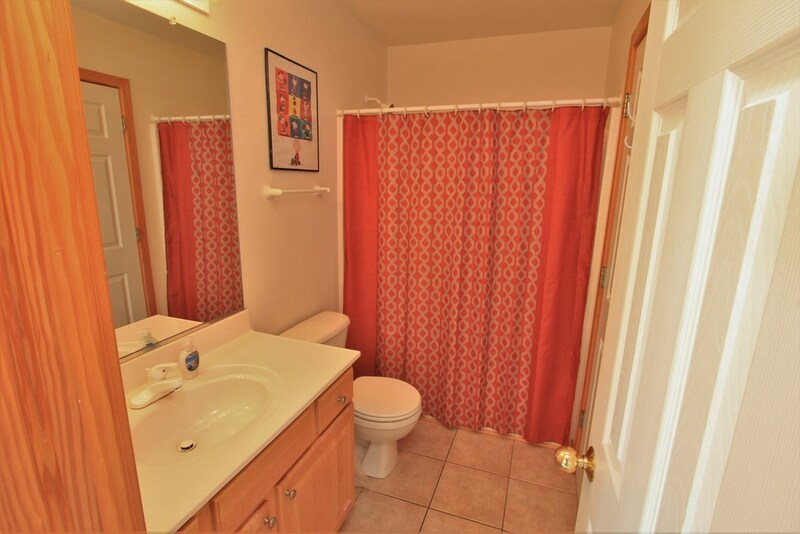 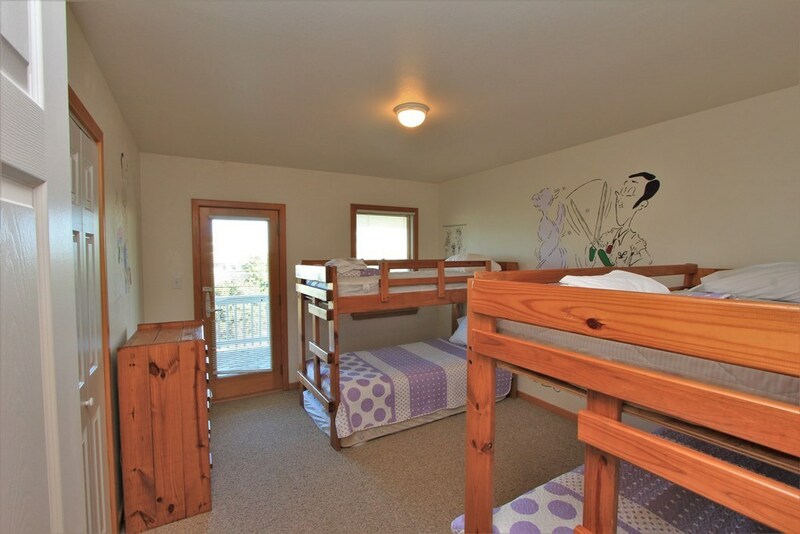 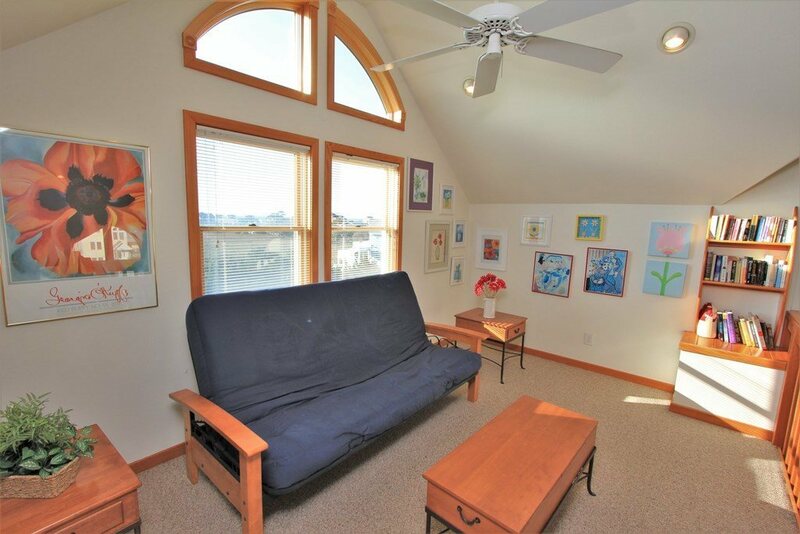 The middle level includes four bedrooms and three baths and the bunk bed room has hand painted Dr. Seuss style barber shop cartoons adorning the walls. 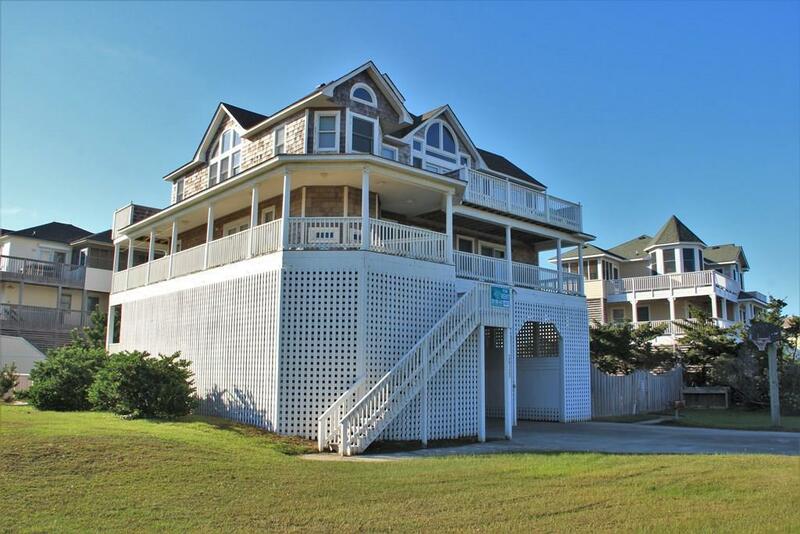 Your family and friends will love Summer Shack!